An intoxicating and furiously paced thriller taking us into the black heart of contemporary celebrity. Amber Knight is London’s hottest ticket – pop star, film star, and the front-page subject of daily tabloid gossip. Nick Belsey is less celebrated. His decade-long career at Hampstead CID seems to be coming to an end, and his habit of getting into serious trouble is on going. He is currently of no fixed abode. But when Belsey is asked by a desperate mother to help find her son, he finds himself infiltrating the entourage of Amber Knight. It is a world of excess, obsession, lust and greed – precisely as Belsey had expected, and perhaps even hoped for. Soon, though, the blood begins to flow, one sickening crime is followed by the next, and Belsey finds himself in a far more deadly world, whose mysteries he must solve and whose grip he must escape. The House of Fame is the third book in the Nick Belsey series by Oliver Harris and is due to be published in June 2015. 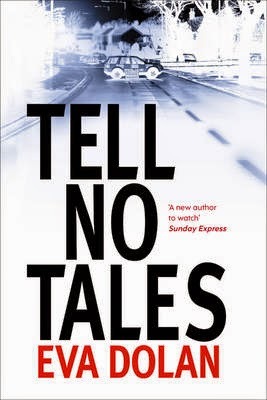 Tell No Tales is by Eva Dolan and is due to be published in January 2015. In the second book from a rising star of crime fiction, Detectives Zigic and Ferreira must investigate a hit-and-run that leaves two migrant workers dead and a series of horrific killings, seemingly with a Neo-Nazi motivation, captured on CCTV. The car that ploughs into the bus stop early one morning leaves a trail of death and destruction behind it. DS Ferreira and DI Zigic are called in from the Peterborough Hate Crimes Unit to handle the hit-and-run, but with another major case on their hands, one with disturbing Neo-Nazi overtones, they are relieved when there seems to be an obvious suspect. But the case isn't that simple and with tensions erupting in the town leading to more violence, the media are soon hounding them for answers. Ferreira believes that local politician Richard Shotton, head of a recently established right-wing party, must be involved somehow. Journalists have been quick to acclaim Shotton, with his Brazilian wife and RAF career, as a serious contender for a major political career, despite his extremist views, but is his party a cover for something far more dangerous? When twelve-year-old Ciaran Devine confessed to killing his foster carer it sent shock waves through the nation. He said his older brother Thomas had tried to stop him, but the killing rage had burned too brightly. Seven years later, Ciaran's release will set a new and even more deadly chain of events in motion. DCI Serena Flanagan, then an ambitious Detective Sergeant, took the boy's confession after days and weeks spent earning his trust. He hasn't forgotten the kindness she showed him - in fact; she hasn't left his thoughts in all the years he's been locked away. Probation officer Paula Cunningham, reluctantly tasked with helping Ciaran re-enter society, suspects there was more to this case than the police or the prosecutors uncovered. Soon she wonders if Ciaran really committed the murder at all. His confession saved his brother Thomas from a lengthier sentence, and Cunningham sees the unnatural hold Thomas has over Ciaran. When she brings her concerns to DCI Flanagan, the years of lies begin to unravel, leading to a truth stranger than anyone could have imagined. Those we Left Behind is by Stuart Neville and is due to be published in June 2015.
disappear.” Freetown, Sierra Leone. A city of heat and dirt, of guns and militia. Alone in its crowded streets, Captain Roland Nair has been given a single assignment. He must find Michael Adriko - maverick, warrior, and the man who has saved Nair's life three times and risked it many more. The two men have schemed, fought, and profited together in the most hostile regions of the world. But on this new level - espionage, state secrets, and treason - their loyalties will be tested to the limit. This is a brutal journey through a land abandoned by the future - a journey that will lead them to meet themselves not in a new light, but in a new darkness. 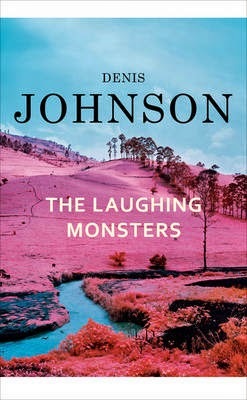 The Laughing Monsters is by Denis Johnson and is due to be published in February 2015. The Drowned Boy is by Karin Fossum and is due to be published in June 2015. 'He had just learnt to walk,' she said. 'He was playing on a blanket on the floor and then suddenly he was gone.’ She tried to dry her tears. She was only nineteen years old, though she somehow seemed younger. 'I know that it's my fault. You can tell me, I know what you're thinking. I should have kept an eye on him, but I was only away for a few minutes.’ A 16-month-old boy with Down's Syndrome is found naked and drowned in a pond right by his home. Chief Inspector Konrad Sejer is called to the scene, as there is something troubling about the mother's story. As even her own family turns against her, Sejer is determined to get to the truth. Olav lives the lonely life of a fixer. When you 'fix' people for a living - terminally - it's hard to get close to anyone. Now he's finally met the woman of his dreams. But there are two problems. She's his boss' wife. And Olav's just been hired to kill her. Blood on Snow is by Jo Nesbo and is due to be published in April 2015. Tensions in Spain are rising: unemployment remains high and political violence has suddenly re-emerged. In Catalonia - Valencia's neighbour - plans are afoot to hold a potentially explosive referendum on independence from the rest of Spain. The last time such a proposal was seriously discussed, in the 1930s, the country quickly descended into civil war. When a shallow grave is found among the orange groves to the north of the city, Max is put on the case. But this is no ordinary murder. Behind it, Max uncovers a tangled web that could destabilise the whole country. 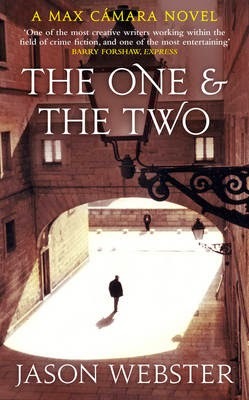 The One and The Two is by Jason Webster and is due to be published in June 2015. For the past few years I've been teaching writing to American veterans of war. Some of these men and women fought in Korea and Vietnam, though most have been in the Middle East. But wherever they served, a great many of them were moved enough by their experiences to try to get them onto paper -- as fiction, non-fiction, poetry and screenwriting. I'm especially moved by the troops recently returned from Iraq and Afghanistan. Because I live in Fallbrook, California, which abuts Camp Pendleton, I've been seeing these men and women deploying from, and returning to Pendleton for years now. What nails me hardest is how young many of them are. I've talked to returning combat Marines who are 21 years old! It's humbling for me to try to help these young men and women get their thoughts down on paper. I'm not even sure I can. They've done things I'll never do, and seen things I can only imagine, and here I am trying to help them express themselves through these weird little black squiggles we call words. Writing isn't easy and it doesn't come quickly. And patience is impossible to teach. But these Writing Warriors have it! After all they've experienced -- the boredom and terror, the long hours of waiting and the short bursts of mind-bending action -- here they are, sitting in a room thousands of miles away, home no less, trying to get something of it onto paper. I hope I'm helpful to these servicemen and women. In my own small way, I'm giving them my all. And truly, nothing would make me happier than to help mold the next Tim O'Brien or Philip Caputo or Kevin Powers or Phil Klay, and show them what I know about this mysterious art of writing. I'd love to watch one of them march off into ages, telling us the true stories of how it was. After all, putting things onto paper is the only thing I really know how to do. So teaching is my humble way to say thanks. But I have another "thank you" due to these Writing Warriors. 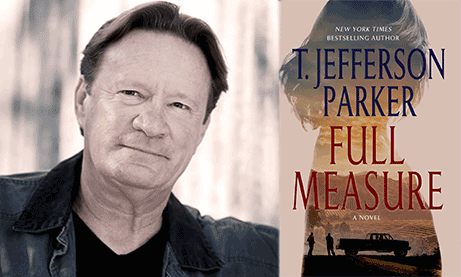 My next novel, "Full Measure" (published by Sandstone on November 20 in the UK) is about a young Marine Corps fighter who returns from bloody combat in Afghanistan and tries to "fit back in" with a troubled America. I formed my hero -- Patrick Norris -- from the experiences of these fine men and women I've been teaching and interviewing. It's not a war novel, it's a coming-home-from war novel. Within two minutes of hearing the news on the BBC’s 2 p.m. bulletin yesterday, I was telephoned by the East Anglian Daily Times for a reaction to the death of Phyllis James. This interest by a regional newspaper was no random act of news-gathering as Phyllis is revered in East Anglia partly as a former resident of Southwold and partly because several of her famous crime novels had atmospheric Suffolk settings, not the least of them being the coastal village of ‘Monksmere’ in her 1967 Unnatural Causes which begins with the famously gruesome opening: The corpse without hands lay in the bottom of a small sailing dinghy drifting just within sight of the Suffolk coast. As she often said when asked the perennial question ‘How do you write your books?’ it was, for her, a question of place. Only when she had fixed on a setting – and not before – did plot, characters, suspense, and solution begin to coalesce. This was often, though not always, a distinctive physical, geographical place like the East Anglian coastline, which she caught so beautifully in Death in Holy Orders (2001) or other dramatic seascapes such as the Dorset coast of The Black Tower (1975) or ‘Combe Island’ off Cornwall in The Lighthouse (2005). She proved to be just as comfortable describing (or more accurately, letting her characters observe) urban settings, notably Cambridge in high summer in An Unsuitable Job For a Woman (1972) and London – and in Original Sin (1994) specifically the River Thames. Sometimes the setting was a specific place, and as Phyllis James wrote crime novels, it could be a specific place where something very nasty has taken place, as in the bloodstained vestry of St Matthew’s church Paddington in A Taste For Death (1986) with its two almost decapitated bodies. 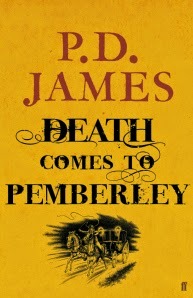 I remember there was something of a furore when that book – with that opening chapter - came out for it gave lie to the suggestion that P. D. James was a writer of “cosy” mysteries. True, she wrote traditional English detective stories and did so with a skill, which did – and will forever – rank with the best of Allingham, Marsh, Sayers and Christie but she was far from a cosy writer. Murder, in her books, was never bloodless or provided simply as an artifice to the plot. From Agatha Christie she learned the lesson not to make her series detective an eccentric, if not bizarre, character and from Dorothy Sayers she learned the danger of falling in love with her central protagonist. And so her hero Adam Dalgliesh was, from the outset, created as a professional policeman with an established (albeit tragic) family history whose career loyal readers would follow as he ascended the giddy heights of Scotland Yard over the years. His creator imbued him with the qualities she admired (in both sexes): intelligence, courage, sensitivity, and reticence. When writing about this process and her own career in Talking About Detective Fiction (2009), she said, interestingly: If I started today it is likely that I would choose a woman, but this was not an option at the time when women were not active in the detective force. Nor were they particularly dominant in crime fiction. It is easy to forget that when P.D. 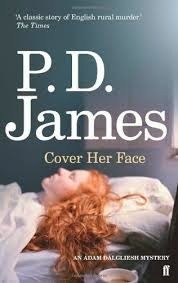 James’ first Adam Dalgliesh novel, Cover Her Face, was published in 1962; the best-seller charts were dominated (and internationally dominated) by male thriller writers. Alistair Maclean, Hammond Innes, and Ian Fleming were well into their stride and the careers of Len Deighton and John Le Carré were just taking off. True, Agatha Christie, Margery Allingham, and Ngaio Marsh were still active, but there seemed to be a trend towards spies rather than detectives and exotic thriller locations, from the Arctic to the Amazon, rather than small English villages like St Mary Mead. Also, most notable innovations in crime writing appeared to be taking place in America rather than Britain, spearheaded by Ed McBain and Ross Macdonald. A woman writing traditional English detective stories with a strong sense of Christian morality seemed to be swimming against the tide, but that is exactly what Phyllis James did, although she once admitted to me that the real incentive to sell that first novel was to pay for a new carpet in the living room! Although her skill as a writer was recognised by the critics, commercial success did not come overnight but by the time Anglia Television began to serialise her novels in the 1980s, she was well on her way to becoming a household name. She won three Silver Daggers from the Crime Writers’ Association, though amazingly never a Gold Dagger – and equally surprisingly was never elected CWA Chairman, something I had to look up, as it seemed so unlikely. She was, however, the 1987 recipient of the Cartier Diamond Dagger for lifetime achievement though at that time, her writing career was probably only just approaching the halfway mark. In a writing career spanning 52 years, she was not a prolific author – certainly not by crime-writing standards – producing 20 novels, 14 of which featured Adam Dalgliesh. The first P.D. James book I read, though, was not a Dalgliesh but her stand-alone 1980 novel about adoption and ‘lost’ children, Innocent Blood. To this day I think it remains my favourite and I was rather proud to hear Ruth Rendell, in a radio tribute to Phyllis yesterday, say that it was also her favourite. I first met Phyllis through the Dorothy L. Sayers Society, of which she was the Patron for many years. She gave the first annual Sayers Memorial Lecture at Witham in Essex (where Sayers had lived) and I gave the second. We both returned to Witham in 2007 to launch the Essex Book Festival and, after the formalities were done and dusted, she joined me in an impromptu question-and-answer session with visitors to Witham public library. When one would-be novelist asked, rather plaintively: “What do you have to do to write a book?” Phyllis and I answered loudly and in perfect unison: “Read!” though we had not, honestly, rehearsed. At the funeral of her friend and fellow Detection Club member Harry Keating in 2011, she gave a heartfelt oration of which I know Harry would have approved. At the wake after the service she was naturally sombre, but as charming and polite as ever. We talked about her forthcoming novel Death Comes to Pemberley and she hinted that not only did she have an idea for the ‘next Dalgliesh’ but also for the one after that. I have no idea how far she got with the next Dalgliesh, but she always said in public that her detective hero “would die with her” and it seems, sadly as if he has. I cannot say I knew Phyllis well. 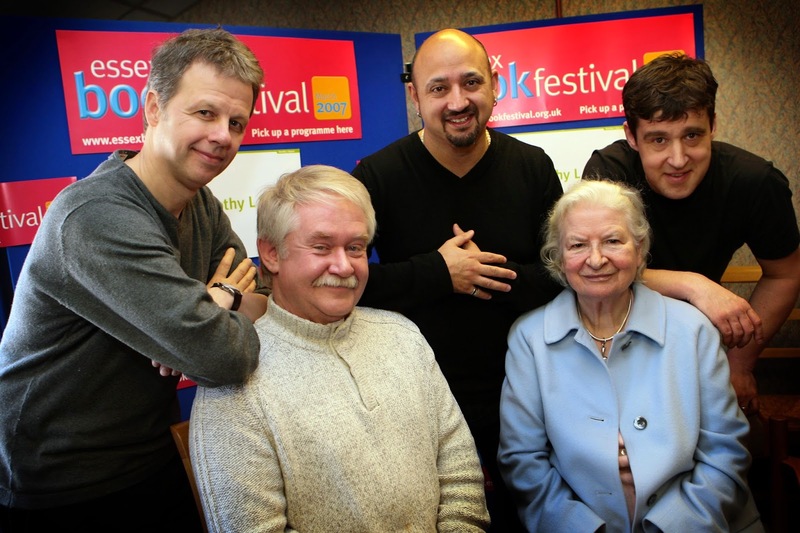 We were of very different generations and traditions when it came to crime writing, but British crime writing in particular is a broad church and Phyllis was a charming, wise, and supremely talented pillar of that church. I doubt we will see her like again. Pictures courtesy of Mike Ripley and the Shots Collective. 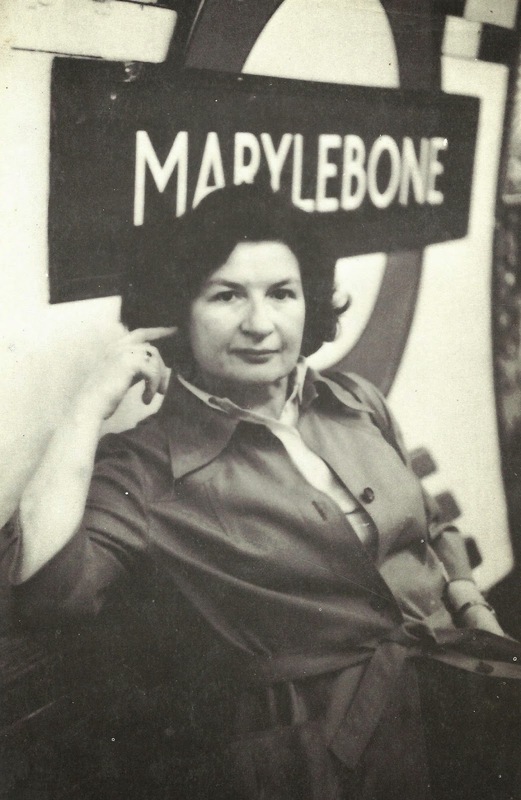 Phyllis Dorothy James, Baroness James of Holland Park, OBE, rose to fame for her series of detective novels starring policeman and poet Adam Dalgliesh. James began writing in the mid-1950s. Her first novel, Cover Her Face, featuring the investigator and poet Adam Dalgliesh of New Scotland Yard, named after a teacher at Cambridge High School, was published in 1962. Many of James's mystery novels take place against the backdrop of the UK's bureaucracies, such as the criminal justice system and the National Health Service, in which James worked. In 1991, she was created a life peer as Baroness James of Holland Park and sat in the House of Lords as a Conservative. She revealed in 2011 that The Private Patient was the final Dalgliesh novel. As guest editor of BBC Radio 4's Today programme in December 2009, James conducted an interview of BBC Director General Mark Thompson, in which she seemed critical of some of his decisions. Regular Today presenter Evan Davis commented that "She shouldn't be guest editing; she should be permanently presenting the programme". During the 1980s, many of James's mystery novels were adapted for television by Anglia Television for the ITV network in the UK. The BBC has adapted Death in Holy Orders in 2003, and The Murder Room in 2004, both as one-off dramas starring Martin Shaw as Dalgliesh. Her novel The Children of Men (1992) was the basis for the feature film Children of Men (2006), directed by Alfonso Cuarón and starring Clive Owen, Julianne Moore and Michael Caine. She wrote 14 novels featuring Adam Dalgliesh, 2 novels featuring Cordelia Gray and a number of non-fiction books. 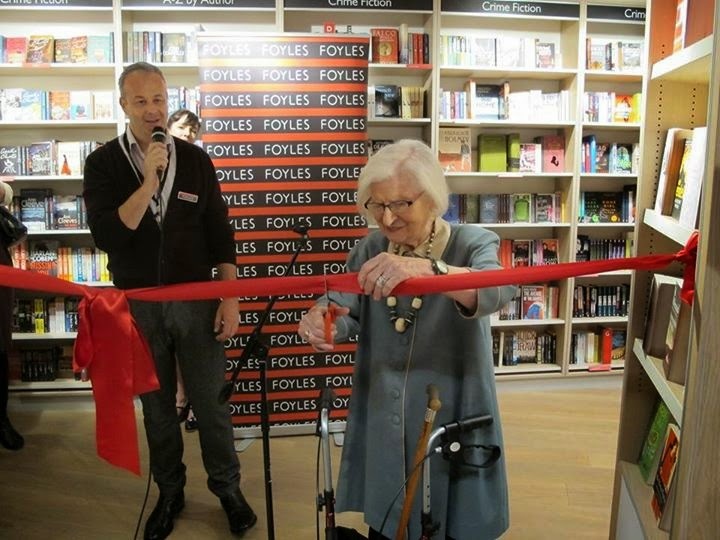 P D James was the President of the Society of Authors between 1997 and 2013. She was a Fellow of both the Royal Society of Literature and the Royal Society of Arts. She also held Honorary Fellowships of both St Hilda’s College Oxford and Girton College Cambridge to name a few. 2010 Nick Clarke Award for interview with Director-General of the BBC Mark Thompson whilst guest editor of Today radio programme. In 2008, she was inducted into the International Crime Writing Hall of Fame at the inaugural ITV3 Crime Thriller Awards. The Guardian obituary can be found here and here. From the Independent and the Telegraph. The BBC also have a video interview with Nick Higham who talks about her work.